I’m a little sad that it’s Monday already, where did the weekend go? 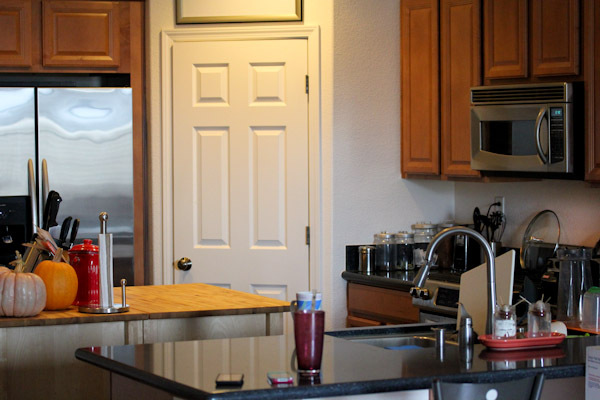 But it was a productive weekend, hubby sweetly sterilized the kitchen since we’re really good and making a mess of it. I got lots of laundry done and a little more decluttering which felt wonderful. 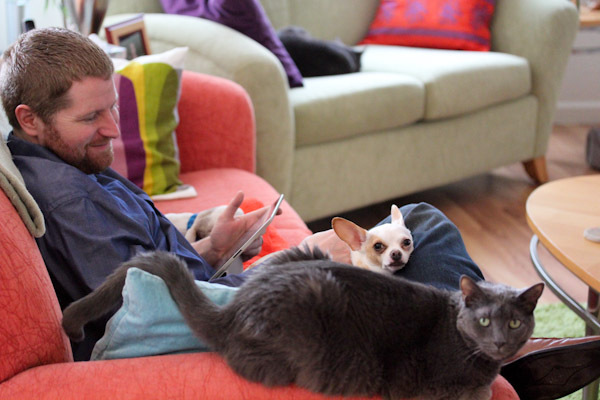 And we relaxed with cuddly pets. I made a huge batch of pressure cooked curried bean stew for dinner last night and had plenty of leftovers for lunch today and tomorrow. 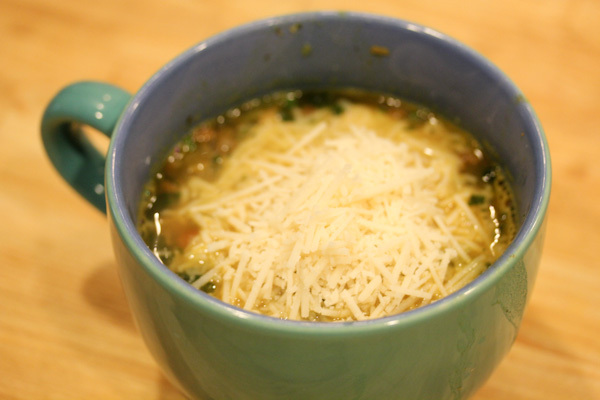 Luckily it’s great topped with Trader Joe’s Vegan Mozzarella Shreds. 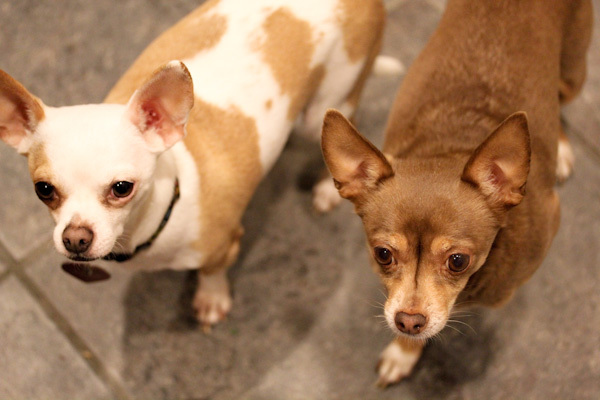 And these two have been doing lots of begging in the kitchen lately. 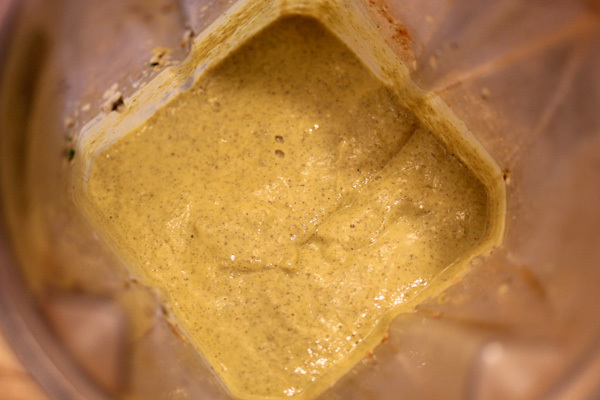 They even begged for my latest blender sauce creation – a cheesy, gooey sauce packed with super foods from chia seeds, hemp seeds, ginger, curry, and garlic. 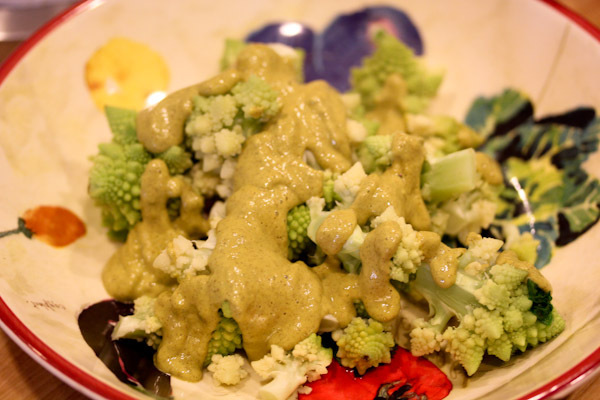 I created it for the romanesco broccoli that needed to be used up because cheesy sauces go perfectly with broccoli and cauliflower for me, especially when the sauce is veggie/super food based! 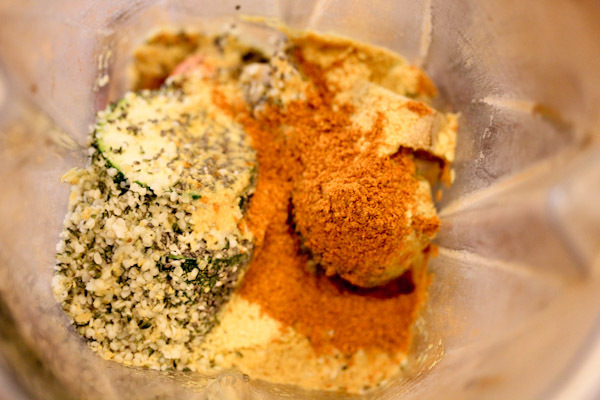 Place all ingredients into a high speed blender and blend until smooth and creamy. Makes 4 servings. The sauce is very thick and gooey and gets even thicker if you let it sit for a few minutes as the blended chia seeds gel up. And it had a great flavor balance of being very creamy, rich, and savory, but only slightly spicy from the curry and garlic. And it turned the very filling lightly steamed broccoli side dish into a well rounded main dish that even picky younger eaters might appreciate. I think I could try and make that I have everything except the chunk of Ginger! I go through so much ginger here, love adding fresh chunks to smoothies!